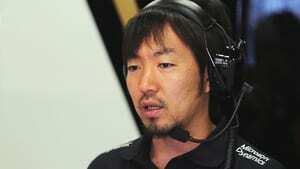 Ayao Komatsu forged a strong relationship with Romain Grosjean as his engineer at the Lotus/Renault team. He became chief race engineer at Enstone before following the French driver to the brand new Haas F1 team in 2016. He took up the same role at the new American outfit, and made his first press conference appearance for the squad at the fourth race of the year in Russia. Komatsu started his F1 experience with a stint as tyre engineer for the now defunct British American Racing squad, before becoming a performance engineer at Lotus. He remained with the Enstone team for ten years, moving up to become a race engineer. When Romain Grosjean's second stint in Formula One began, he was known as a somewhat reckless racer. Partnering with Ayao Komatsu, he managed to calm things down as the Lotus race engineer helped the Frenchman turn things around. Together they scored nine podium finishes, which resulted in Komatsu's promotion to chief race engineer at the start of the 2015 season. Grosjean departed the Enstone squad for the new Haas team in 2016, and Komatsu followed to resume his chief race engineer duties in a different uniform.